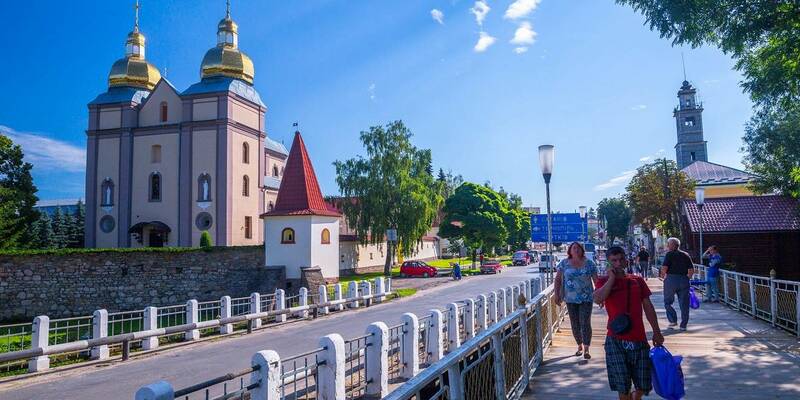 According to Olena Tverdokhlib, head of the hromada, due to public transport stops, each village should express its own identity. What is a bus stop? Just a formality. A point on the map. 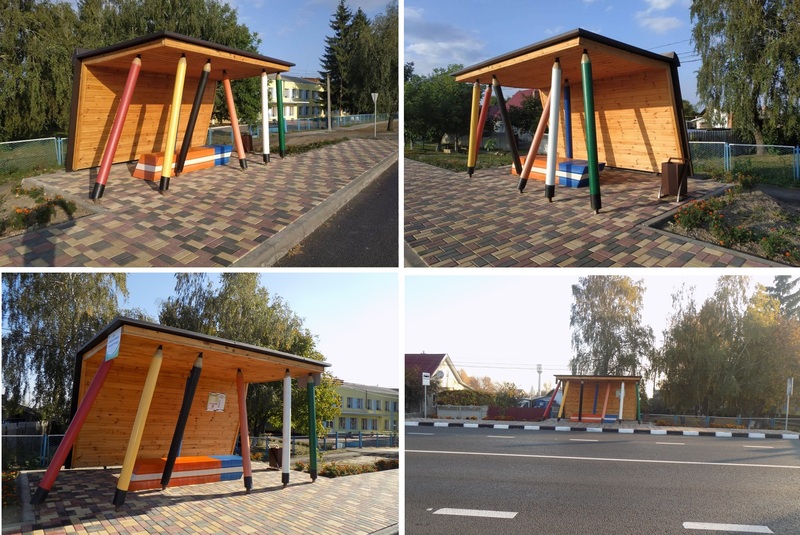 A place where a bus stops for the passengers to get off and on. There are often no attributes or even road signs at the stop. Everyone just knows that buses stop near the church, village council, shop, cross, on the corner. From this point of view, the construction of comfortable stops is a waste of money. But on the other hand, it is much more pleasant to wait for the bus, sitting on a pretty bench under the roof protecting from the rain and hot sunlight. In addition, a civilised stop significantly enhances passengers’ safety. It is this “safety” element that influenced recent appearance of seven unusual stops in the Knyahynynivska AH of the Volyn Oblast. Olena Tverdokhlib decided to do everything in the most democratic way. Prior to allocating money for the stops’ construction, the AH conducted a public opinion survey. Some residents demanded establishment of modern transparent glass stops. And others offered to construct them from gabions (the French word “gabion” means a large basket, in fact it is a grid of fittings of any shape and size, filled with natural stone). 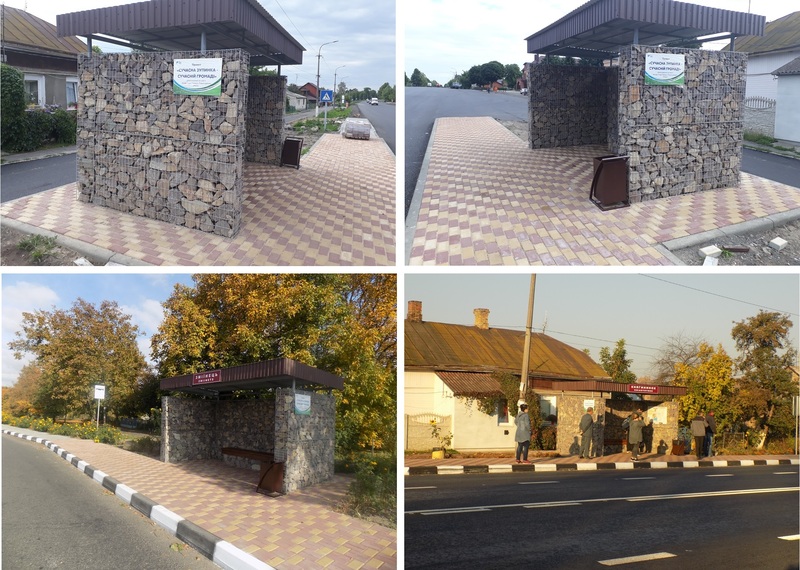 The gabion stop project was designed by young architect Maria Koshil, resident of the Knyahynynivska AH, who have just graduated from the university. The AH deputies, recognising the innovativeness, environmental friendliness and attractiveness of the gabion stops, refused to allocate money for them. 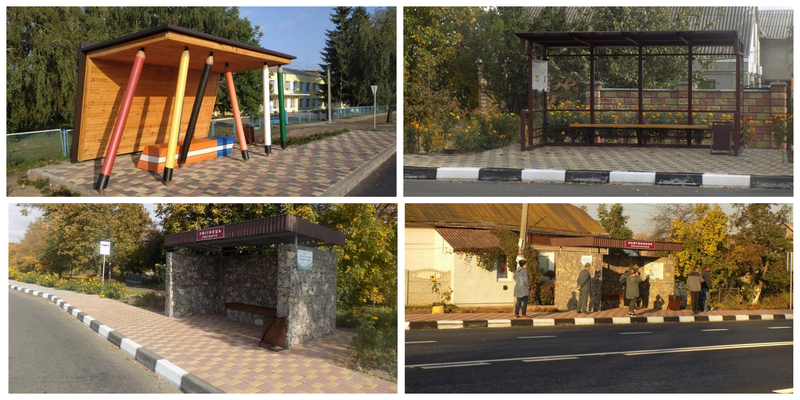 Instead, UAH 0.5 million were allocated for the establishment of 10 transparent stops from thick glass and metal. “But I could not calm down: I just imagined these gabion stops in our hromada, at least in the place of former Soviet, stone ones with damaged mosaics,” continues Ms. Tverdokhlib. 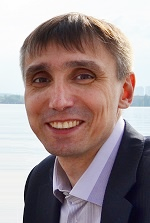 “Therefore, together with Serhiy Uzhehov, project manager of our AH, we addressed the charity foundation. 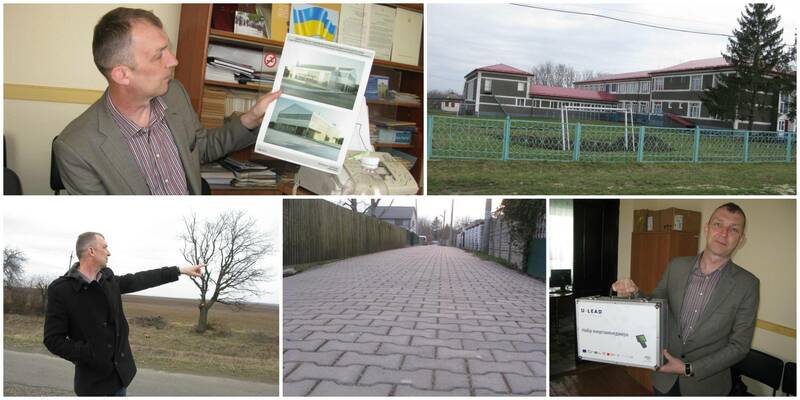 They were interested in our project, and soon we received UAH 364 thousand to construct seven stops: six gabion and one wooden, in the form of a book, proposed by our resident. Repairs of the route continue, and in the spring the Knyahynynivska AH will need about 10 new stops. This time, the funds for them are envisaged in the budget. Though it is still unknown, how these stops will look like. Olena Tverdokhlib says she has “some very interesting suggestions”, but still keeps them secret. According to her, these stops will be a tool to express the identity of the village, where they will be installed.